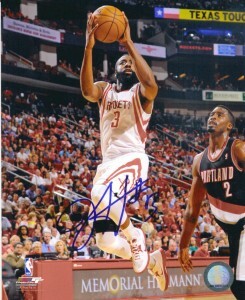 James Harden rookie cards are on the rise. 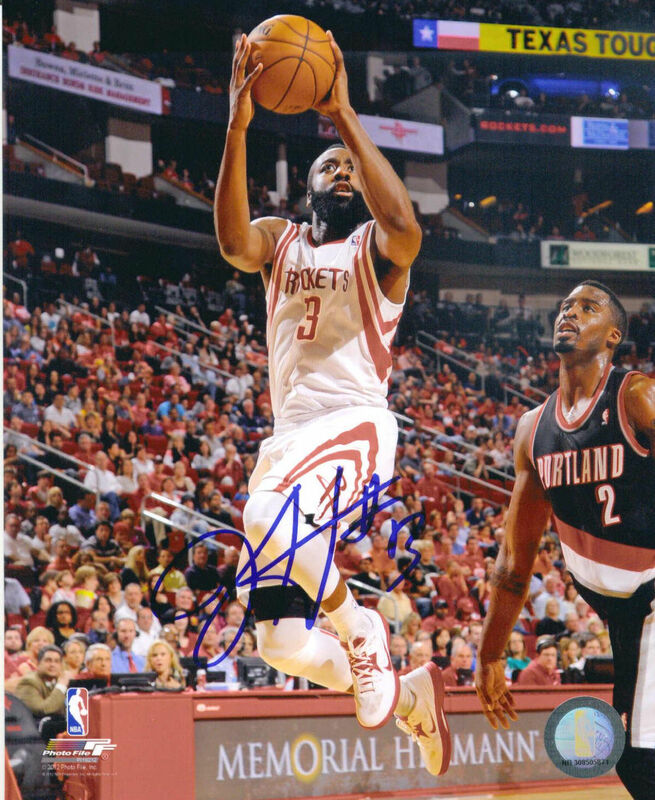 The prolific scorer has put the Houston Rockets on his back, and he is taking the NBA and basketball card collectors with him as he drives for another basket. 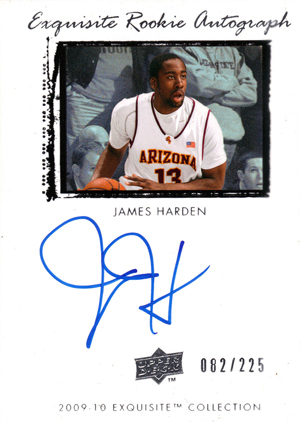 Issued during the 2009-10 season that was ultimately the last with multiple card brands, Harden has quite a few rookie cards. 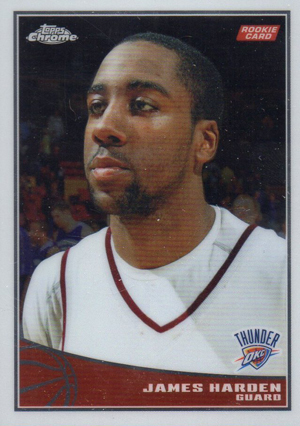 After spending his first years with the Oklahoma City Thunder, a surprise trade took place prior to the start of the 2012-13 season. Harden went from a role player on the Thunder to a franchise centerpiece with the Houston Rockets. 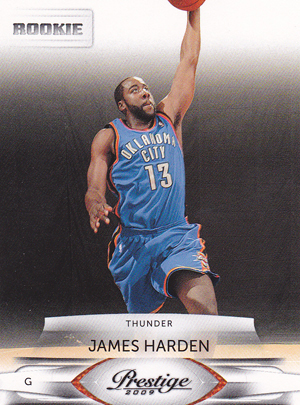 The days of cheap James Harden rookie cards are long over, at least when it comes to his premium first-year cards. And there's still room to grow. Should Houston win an NBA title, don't be shocked to see Harden's prices go even higher. While it may not impact his play, Harden's trademark beard makes him unique among his peers. It's this sort of edge that gives him more mainstream attention. In turn, such attention can only help Harden's standing in the hobby. James Harden 2009-10 Topps Base #319 Rc PSA 10 Gem Mint Hot! JAMES HARDEN RC 2009 ROOKIES & STARS LOGO PATCH AUTO # 449 ROOKIE AUTOGRAPH HOT! 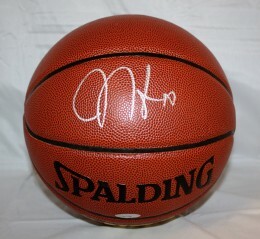 Below you will find an example of what James Harden's authentic signature looks like. 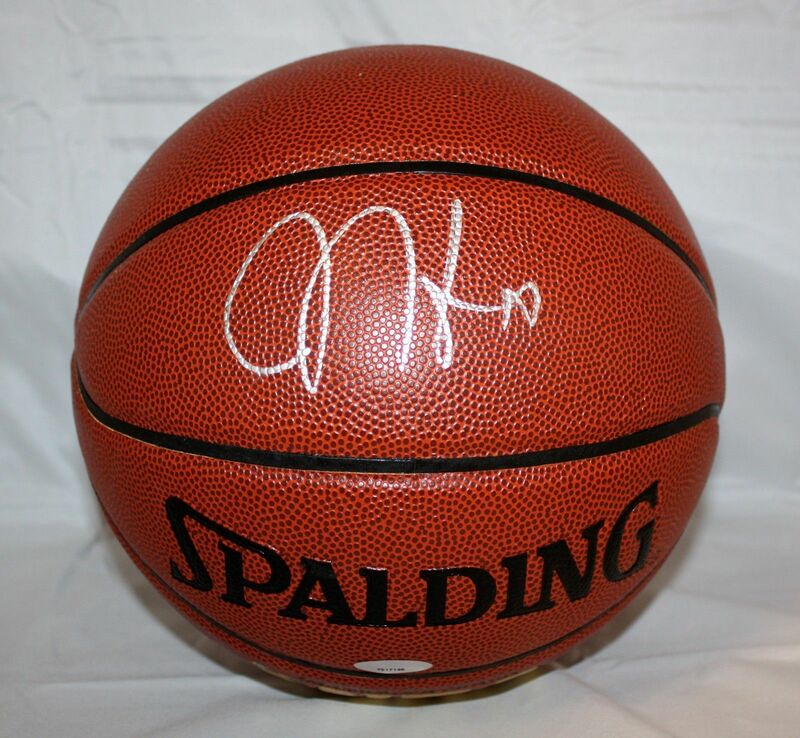 This can be used as a first point of reference for determining the legitimacy of autograph memorabilia, but is not a substitute for having your items authenticated by a well respected professional autograph authentication company. Reputable authentication companies include JSA, PSA, Panini Authentic, Upper Deck Authentic, Tristar and Mounted Memories to name a few. Click on any of the images below to view full size photos. Signed on a relatively even plane. The signature is represented by the letters "J", "H" and Harden's jersey number "#13." The "J" looks like a standard cursive capital letter, with a big loop on the top and smaller on the bottom. The pen does not lift and flows into an awkward but legible letter "H" which resembles a letter "W" and a crossed curved line. The inscription "#13" is usually included. 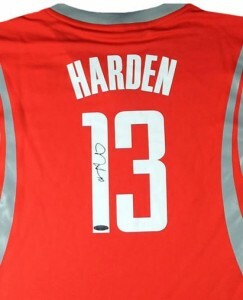 JAMES HARDEN Signed Autographed #13 Houston Rockets Jersey Beckett COA 2019 MVP!